Our in-depth knowledge and industrial expertise enable us to manufacture a distinguished range of Picking Lever. - Widely used to install in projectile weaving machine. 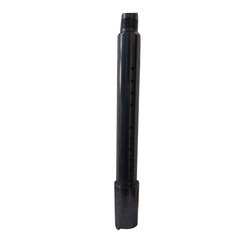 Owing to the presence of our expert team members, we have been able to offer a wide range of Treadle Lever Shaft. These are engineered in accordance with international industrial standards and using best available technologies. Our products are acknowledged for their robustness and rough and tough usage. All products guaranty material composition and guality. In order to cater diverse requirements of the clients, we offer an extensive range of Sulzer Picking Lever that is valued among the clients for excellent quality and smooth performance. We offer them in different technical grades and are easy to operate. Our entire product range is durable in nature and has smooth finishing. We are offering Sulzer Picking Lever D.35 to our client. We are highly acknowledged organization engaged in presenting a remarkable range of Picking Lever. 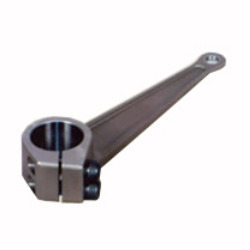 We are largest manufacturer & Supplier of Picking Levers in India as well as in Abroad. We manufacture Picking Lever Of Both Size Of dia.say 35mm & 37 mm. We are bringing outstanding range of Picking Lever to our respected clients. Fabricated under the guidance of superiors, these offered lever products are manufactured by making use of premium grade of raw material at our end. Offered products find enormous usage in various industries and sectors.